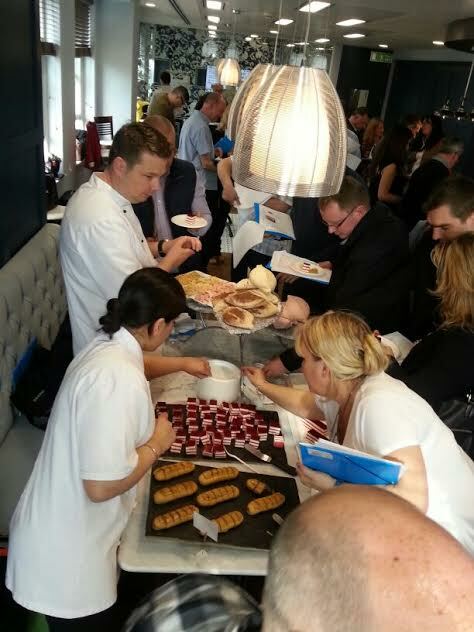 Award winning Delice de France officially launch their Customer Innovation Centre in London’s Covent Garden today, 24th June 2014 holding an exclusive customer product innovation showcase, providing state-of-the-art chef to chef facilities, a centre of training, learning and development excellence- demonstrating best practice and driving innovative, trendsetting food solutions for retailers and customers. Capitalising on the successful launch of the Coup de Pates range last October’13 and the new summer catalogue launch in April’14, Delice de France hit the headlines again with the very latest in customer focused development. The Customer Innovation Centre, based in the heart of London’s West End, Garrick St. Covent Garden provides customers the very latest and very greatest bakery innovations. Customers can touch, taste and feel the products and most importantly engineer bespoke recipes in addition to training, learning and development programmes from expert chefs in baking, food service and presentation. Another first is the monthly ‘bake off’ campaign focusing on industry insights and market trends helping customers to maximise sales. This new facility caters for both foodservice and retail sectors focusing on avant-garde products and recipes, practical and contemporary retail concept solutions. To celebrate the opening of the Customer Innovations Centre Delice de France will hold an exclusive press event on the 22nd July to demonstrate the full extent and versatility of the Innovations Centre. Journalistic and media colleagues are invited to tour the facilities on offer and to sample a selection from the new Coup de Pates spring / summer range such as the Croffin®, a delicious fusion between a croissant and muffin – just one small example of an innovative bakery solution.